Do you remember what you were doing when you were 11? Nope, me either. Probably because it was something completely normal and boring like reading Harry Potter or looking up swear words in the dictionary. 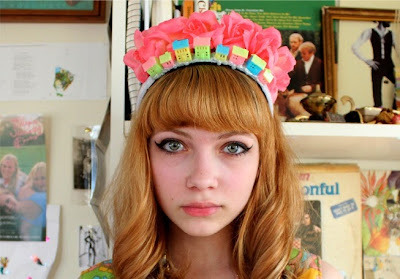 So when I look at over achievers like Tavi Gevinson, who began her role as New York's biggest (and smallest) fashion blogger at age 11, I can't help but feel my childhood was somewhat unproductive. Not that there's anything wrong with Harry Potter. Recently in Australia for the Melbourne Writer's Festival, the now 17 year old Gevinson can claim the title of writer, magazine editor, blogger and has been named a style icon by some of the fashion industry's biggest names. But how exactly did this Chicago born girl become the next big thing in American pop culture? Well, it all started with the initiation of her blog 'Style Rookie' in 2008 that featured her distinctive personal style and commentary on the latest fashion trends. Before she could say 'holy Karl Largefeld!' her blog was attracting more than 30,000 hits a day. From here, her career sky rocketed, with interviews for The New York Times, invitations to New York and Paris Fashion Weeks, writing for magazines and even dabbling in some modelling and acting gigs. In 2011 at the ripe young age of 15, Gevinson moved on to bigger and better things (though i'm not sure how anything could really get too much better for her) with the creation of Rookie Magazine, an online website that focuses on music, style, writing and everyday issues impacting teenage girls. 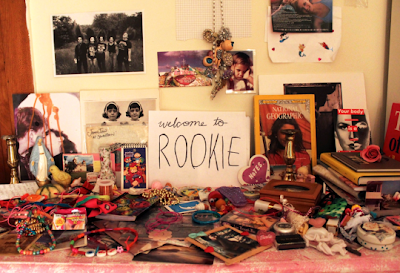 Rookiemag.com has an emphasis on original, quirky content that's interesting and fun to read. What I appreciate most about her work is it's point of difference. I feel as though there's no BS when she writes, she just tells it how she sees it in her own original way...she doesn't try and sound like someone she's not. And let's face it, with all the pressures put on 17 year old girls, let alone those who stand in the global spotlight, being able to stay true to yourself is pretty rad. 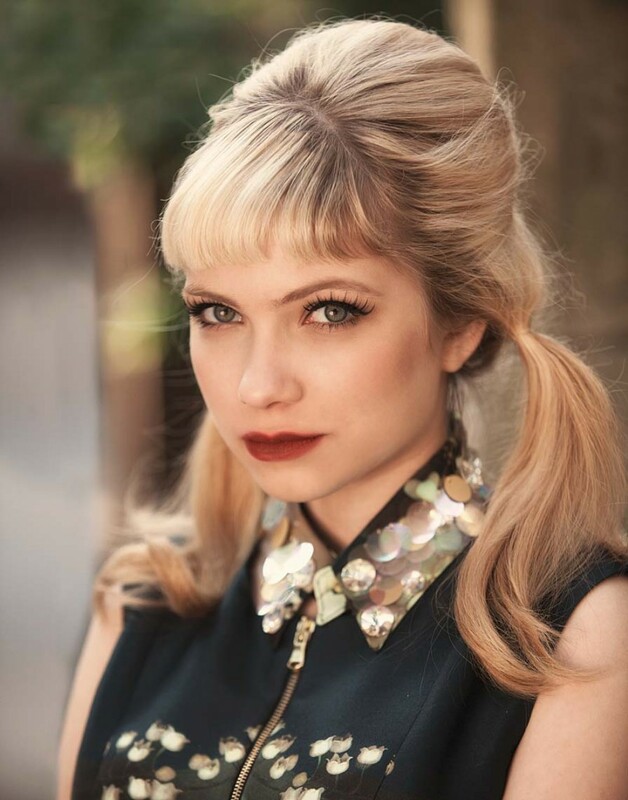 With Rookie Magazine now viewed by millions each and every day, Tavi Gevinson really has made a name for herself in the world of the written word. And sure, while the rest of us were still watching cartoons as she rubbed shoulders with the likes of Zooey Deshanel and was busy being described by Lady Gaga as "the future of journalism", Gevinson shows us that even though you may be small, it pays to dream big.